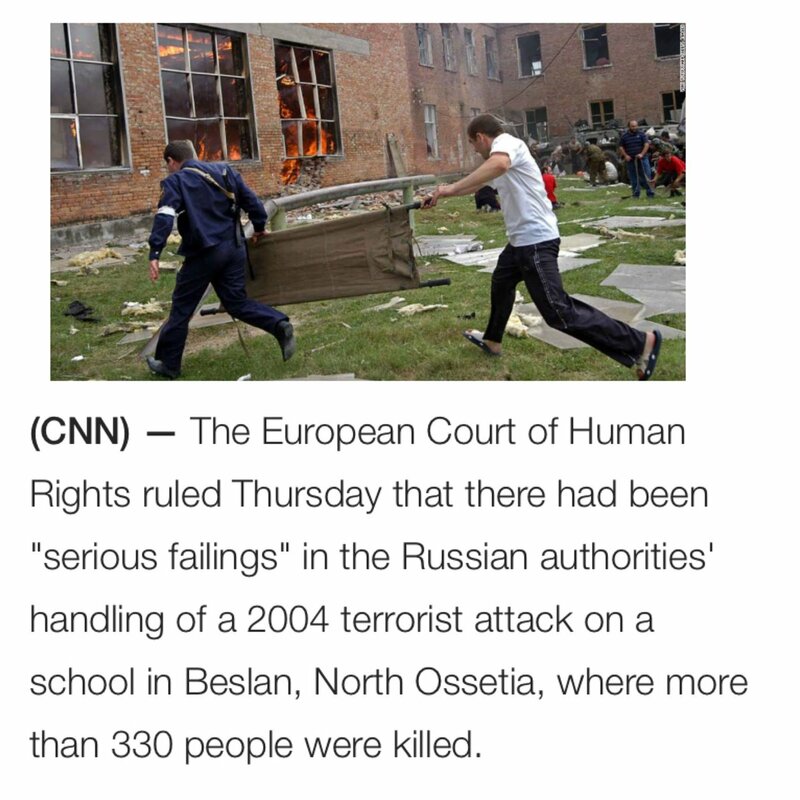 (CNN) The European Court of Human Rights ruled Thursday that there had been "serious failings" in the Russian authorities' handling of a 2004 terrorist attack on a school in Beslan, North Ossetia, where more than 330 people were killed. The case was brought by 409 relatives of those killed or injured and survivors of the attack, in which more than 1,000 people were held hostage for more than two days in a school gymnasium rigged with explosives by heavily armed Chechen separatists. More than 180 children were among those killed by the end of the siege, which began as the school held a ceremony to mark the start of a new school year. 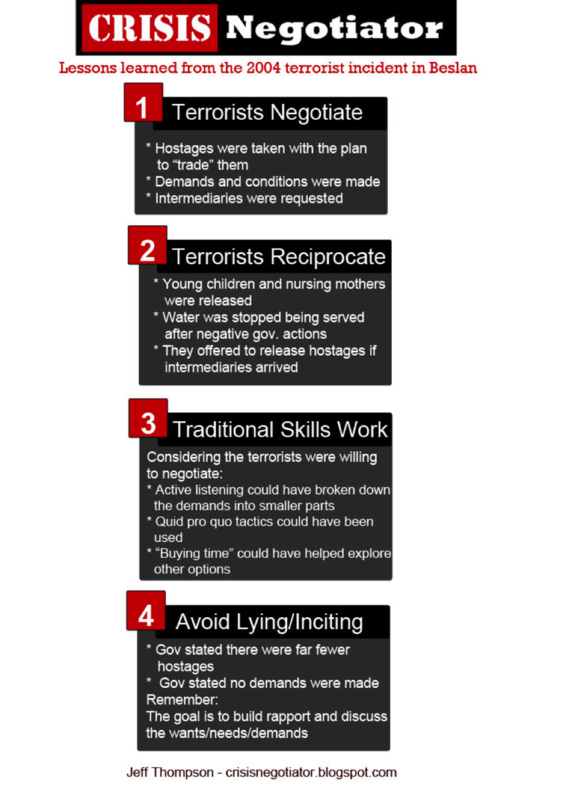 Read an in-depth review, specifically from the hostage negotiation perspective, by Adam Dolnik [HERE]. Here's my 'Lessons Learned' on the incident [HERE].